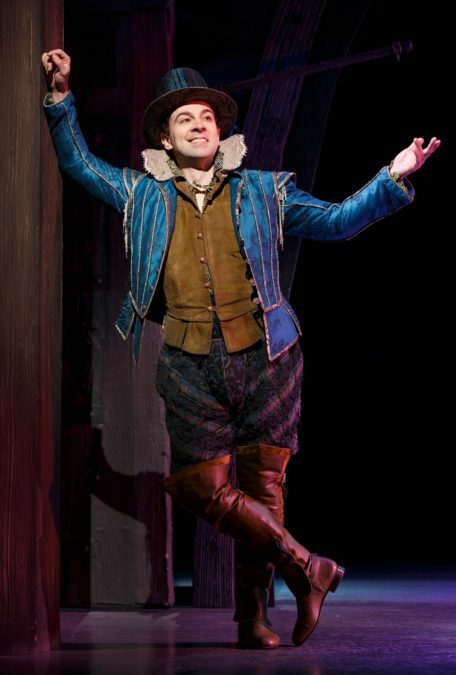 McClure, who plays Renaissance man Nick Bottom in the touring production of the hit Broadway musical-comedy, will take viewers on the road as Something Rotten! crisscrosses the country. Look out for omelette-sized shenanigans, hilarious road trip hijinks, cameos from McClure's co-stars, including his wife Maggie Lakis (Bea), Adam Pascal (William Shakespeare), Josh Grisetti (Nigel Bottom) and Blake Hammond (Nostradamus), and so much more. McClure received a Tony Award nomination for his role as Charlie Chaplin in the Broadway musical Chaplin. His other Broadway credits include Noises Off, Honeymoon in Vegas and Avenue Q. Bottoms Up will launch on January 20 and run every Friday as McClure and the whole Rotten! company bring the Renaissance to a new city.